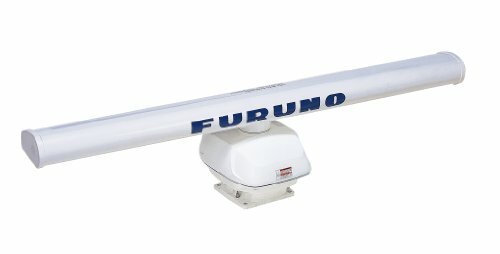 FURUNO has taken its NMEA award-winning radar technology to the next level with Ultra High Definition Digital Radar. UHD offers crystal clear, noise-free target presentation with automatic real-time digital signal processing. Antenna rotation speed (24/36/48 rpm) is automatically shifted to the appropriate pulse length. Commercial-grade radar performance is now available in the ultimate MFD navigation suite. The Radar is housed in a rugged cast aluminum pedestal, is supplied with a 4' open array, produces 6KW of power, and has a range of 64 nautical miles.